One of our amazing guest writers, Joe Stanley, shared tips and tricks for road trip stops in two articles last week: here and here. I am huge fan of the Starbucks drive thru- while service can definitely differ you know what you are getting. That delicious cinnamon coffee cake is standard whether you are in the city or on a quiet stretch of I-95. But if Starbucks isn’t coming up for miles, where else can you stop? 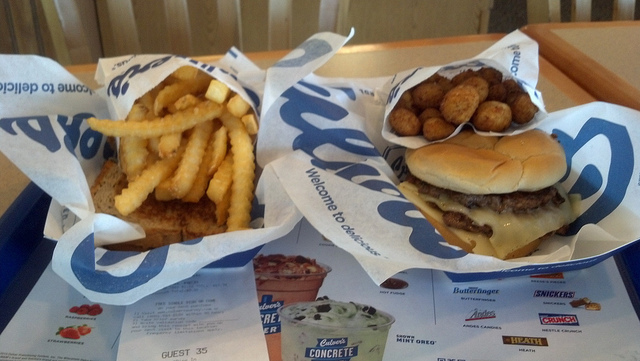 Try Culver’s. 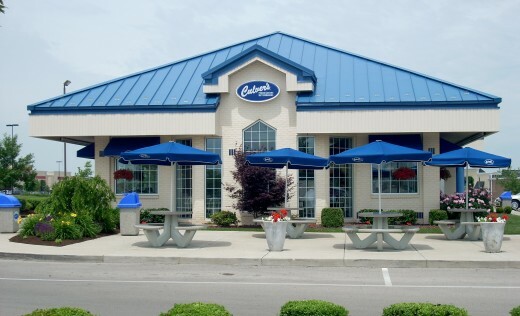 You won’t find them everywhere, but our experience was that they were clean and well managed with tasty food a step above your usual fast food fare. You order at the counter and they bring your meal to the table- cutting down on the throng of folks waiting to order and waiting for food, while also providing more of a dine-in experience without the long wait of a traditional restaurant. Best of all, there were plenty of highchairs, bibs hanging nearby (!!!) and coloring supplies for older children. Two of the locations we visited had special family events going on when we stopped by. Locations available here and here.